ITP Ultracross tires are an excellent option for riding your ATV or UTV on hard surfaces. With more openly spaced tread pattern this tire makes a superb option for desert and slick rock conditions. - Our ITP ATV tires generally ship out within 1 business day! 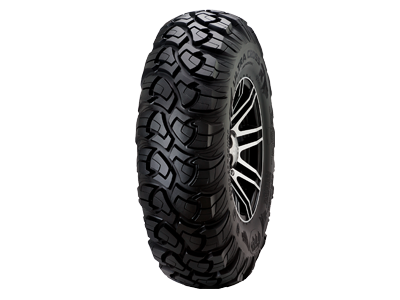 - Unique, multi-surface, non-directional tread design improves off road traction and versatility. Tires are amazing! First trip out I was amazed how well they did rock crawling. Very sticky compound. Was great overall in the sand mud and rocks. Used on a rzr 1000 Crew cab and they did not rub at all. Works great for rock crawling. Durable tire stands up to the sharp rocks without tearing chunks of rubber off the tire. Nice Tread, Perfect Size, Great Tires!!! Q: Is the ITP Ultracross R Spec ATV Tire DOT approved? if not which 29 to 30 inch diameter tire that fits 14 wheel is DOT approved? A: No the ITP Ultracross tires are not DOT approved. You should look at the EFX Motoclaw, Tensor Regulator, GBC Kanati Mongrel, Tusk Terrabite, STI Chicane, Super ATV Warrior. 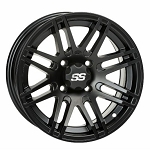 All of those are offered in 30 inch for 14 inch wheels, and they are all DOT approved. Let us know if you have any other questions.